The Hudson River Museum announces its summer exhibitions, with works by contemporary artists who explore the landscape and the river to create evocative works of art that are keenly attuned to the environment around them. In addition, a selection of prints from the permanent collection by Minimal artist Donald Judd will further explore the iterative process and creative possibilities of abstraction. The Museum will also feature a rotation of works in blown glass by Louis Comfort Tiffany, drawn from the permanent collection. 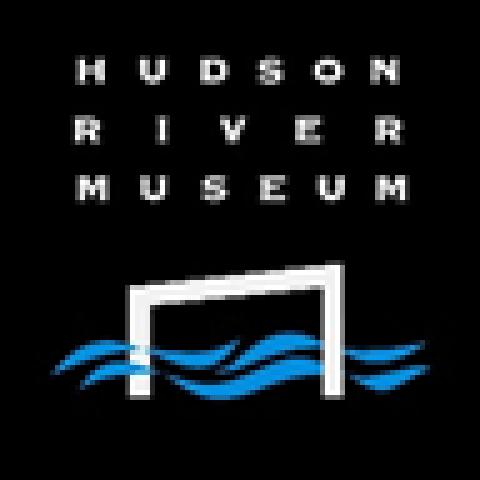 The exhibitions will be on view from June 1 – September 9, 2018 at the Hudson River Museum. Scott D. Miller (American, born 1956), takes its name from the translation of the Lenape word for the Hudson River. The artist states, “I use the surface of the river as a giant watery lens that assimilates reflection, color, and pattern. riverthatflowsbothways creates a contemplative space that lengthens one’s sense of time and evokes feelings of wonderment and comfort but also conjures presentiments of destabilizing undercurrents.” Kozak asserts the primacy of the river as a site of aesthetic and environmental concerns. This unique collaboration weds three video channels with a single audio channel using non-synchronous loops that present viewers with ever-changing compositional combinations. Miller’s string-ensemble score features ambiguous hymn-like chords, recalling Shape-Note singing and the harmonic adventures of Charles Ives. 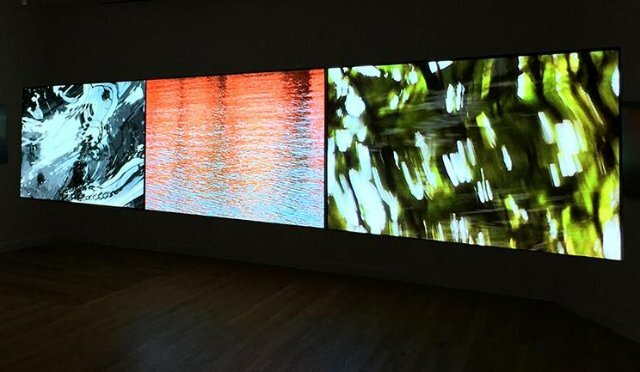 While Miller draws upon the history of American music, Kozak’s video connects to both contemporary and historical traditions focused on perception in the visual arts. Kozak draws from her ongoing experience as a painter as well as from her background in the early formative years of video. Without offering views or realistic representations, Kozak’s piece is an immersive meditation on the movement and luminosity of the river. 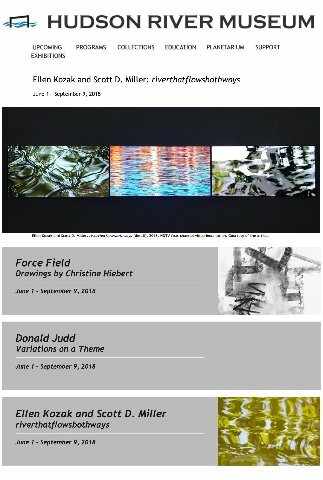 Working beside the Hudson River, Kozak roots her art in the use of the river’s surface as, in her words, “a lens that collects activity from the sky above: the movements of clouds, fog, foliage, planes in flight; and on the Hudson, barges transporting crude oil.” Intimately observed abstract images and sound coalesce within the gradually changing images, bringing viewers in contact with the river as a living organism. Since 1994, Kozak’s artist studio has been on the east bank of the Hudson River, providing a view of the river in all seasons. She works directly on the banks on the river, sometimes even in the river, where her visual ideas are guided by direct observation. Her work has been exhibited at museums and galleries throughout the tri-state area, including the Katonah Museum of Art; the Samuel Dorsky Museum of Art in New Paltz, NY; The Hyde Collection, Glens Falls, NY; the Odetta Gallery in Brooklyn, NY; and the Katharina Rich Perlow Gallery in New York City. Collections in which her works are found include The Brooklyn Museum, The Metropolitan Museum of Art, The Museum of Modern Art, Smithsonian American Art Museum, The New York Public Library, and Yale University Sterling Memorial Library. The artist’s work has been featured in exhibitions at The Drawing Center, The Metropolitan Museum of Art, The Morgan Library and Museum, and The Museum of Modern Art. Her drawings are held in the collections of The Fogg Museum, Harvard University Art Museums, The Menil Collection, The Metropolitan Museum of Art, and the Whitney Museum of American Art. Though he resisted the title, Donald Judd (American, 1928–1994) was a towering figure in the Minimal art movement of the 1960s and 1970s. He created three-dimensional works in series, which engage the space around them. Variations on a Theme showcases Untitled, 1977–78, a series of 16 etchings by Judd from the Museum’s permanent collection. Consistent with his three-dimensional constructions, called “Specific Objects,” by Judd, these prints incorporate clean, precise geometric forms with slight variations. Important for Judd, they are not made by the hand of the artist. Like many of his Pop Art and Minimalist contemporaries, he had his sculptures factory produced and his father Roy, who was trained as a printmaker, produced many of the artist’s prints.